"The Paleface" is a Joseph M. Schenck short comedy, starring Buster Keaton and featuring Joe Roberts, a star of Silent Hall of Fame. 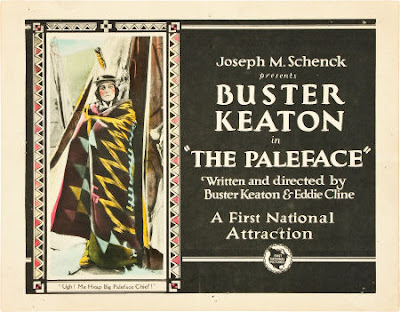 Buster Keaton barely escapes death walking into the camp of an Indian tribe. Later he helps the Indians retain their land and becomes one of them. Buster helps a Native American tribe save their land from greedy oil barons.